How land authorities and Bahria Town (Pvt) Ltd colluded in violating multiple laws to facilitate a massive land grab. KARACHI: There’s Bollywood music blaring from somewhere. The tables at an outdoor tea stall are packed and waiters rush back and forth with steaming cups in hand. A corncob seller does brisk business at his pushcart. The street is full of cars and people. Every evening, this section of Tauheed Commercial in Defence Housing Authority Phase V throbs with activity, with the anticipation of making an overnight profit. It is a casino of sorts – except that instead of roulette and blackjack, it is a game of real estate that is creating the buzz. The name of that real estate: Bahria Town Karachi (BTK), a sprawling, upmarket gated community being constructed off the Super Highway in the outer reaches of Pakistan’s largest city. Scores of real estate agencies line two or three streets in Tauheed Commercial, almost all of them emblazoned with the Bahria Town Ltd logo. Many among them are authorised dealers for Bahria Town real estate. Another gleefully says that “there is almost no plot left unsold, even in the recently announced Sports City [a neighbourhood within BTK]”. Incidentally, one of these real estate agencies, run by two brothers, is also known for its very large hawala transactions for specific clients. 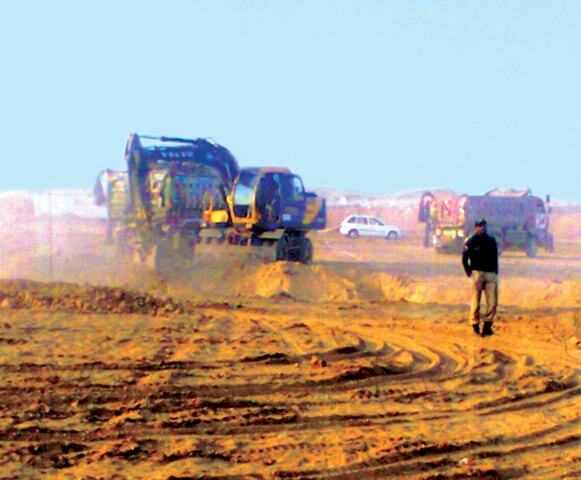 The multibillion-rupee enterprise known as Bahria Town Karachi depends for its success on the brazen manipulation of the law by the political elite and land officials who, hand-in-glove with influential figures in the establishment, are using the state’s coercive powers to deprive rightful owners of their land. To add insult to injury, all this skullduggery is being packaged as ‘development’. Land authorities and Bahria Town (Pvt) Ltd have colluded in violating multiple laws to facilitate a massive land grab in Pakistan’s largest city. On March 19, around midday, several police mobiles led by Inspector Khan Nawaz surrounded Juma Morio goth, a small village of about 250 houses in deh Langheji, district Malir, about 13 kilometres north of the Super Highway. They were accompanied by bulldozers, wheel loaders and dump trucks. Their objective: to demolish a number of huts and make way for a Bahria Town road through the village. “The job was quickly completed and the rubble hauled away while hapless villagers looked on in a daze, knowing full well there will be no justice for them,” said Ameer Ali, one of the residents. Just two days earlier, the villagers had expressed their fears to Dawn that they would soon be forced from their land. 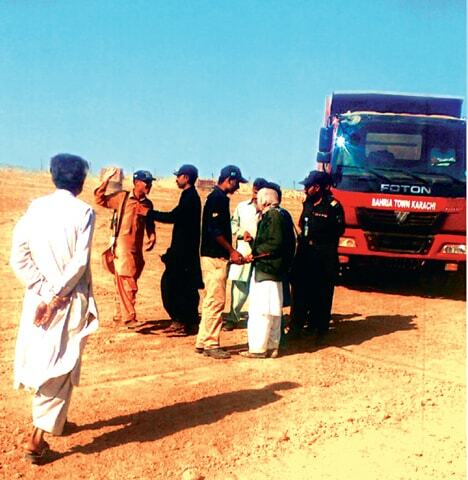 The problems for the villagers began on Feb 9, when they had resisted the first attempt by personnel from Bahria Town and the Malir Development Authority (MDA) – accompanied by a large contingent of police and bulldozers – to have the way cleared for a road through Juma Morio. In response, MDA officials lodged an FIR in which they accused Kanda Khan Gabol, Ameer Ali and a dozen other villagers of firing at them. Even though the challan did not furnish, amongst other things, any proof of MDA’s ownership of the land in question, Judge Sher Muhammad Kolachi ordered the inclusion of Section 6(2)C(L)(M) of the Anti-Terrorism Act 1997 in the criminally defective FIR. Many of the accused remain on the run and that was the reason, villagers claim, they were unable to resist the March 19 demolition. Juma Morio is only the latest village to have fallen victim to such tactics to grab communal land that has been home to families since generations. 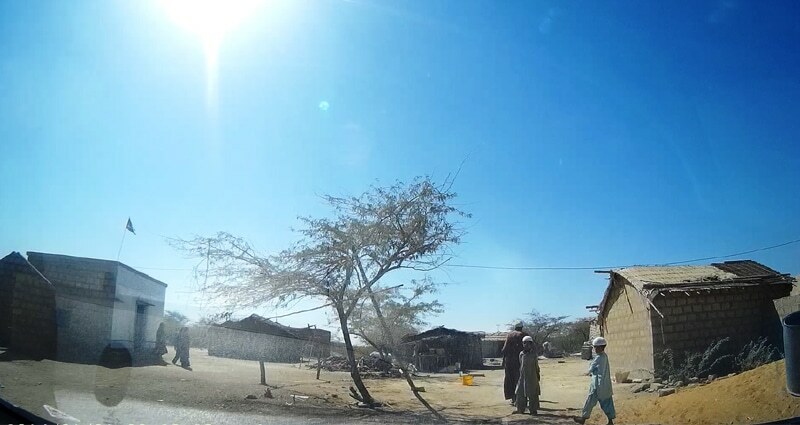 Villages in the surrounding area of district Malir are rife with similar accounts of residents being harassed and intimidated into selling or abandoning their land. Despite the fact that many have land documents to prove their claims of possession, as well as agricultural leases to till the land, resistance is ruthlessly countered. Homes have been levelled, graveyards obliterated, fruit trees uprooted, and tube wells smashed. Police personnel oversee the beginning of construction work to counter resistance by villagers. The raid was the sequel to events of a few days earlier when a police contingent, also led by Inspector Khan Nawaz, had surrounded the village to force them to vacate the land for a road to be constructed through it, which the villagers had refused to do. Instead, they filed a petition in the Sindh High Court (SHC), pleading that MDA, Bahria, and police be restrained from “interfering, encroaching upon, harassing or blackmailing the petitioners, their families and dispossessing them from their lawful possession of their land”. 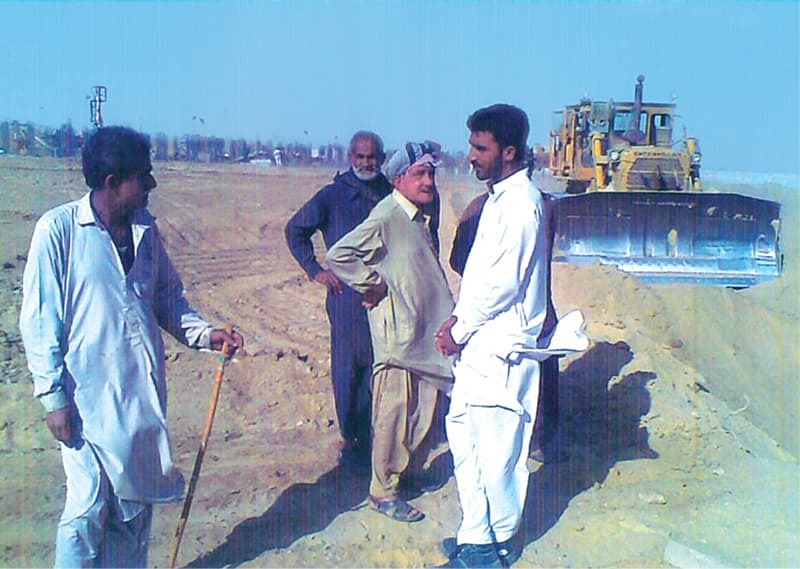 Faiz Mohammed Gabol (third from left) watches as work proceeds on land where his orchards used to be. 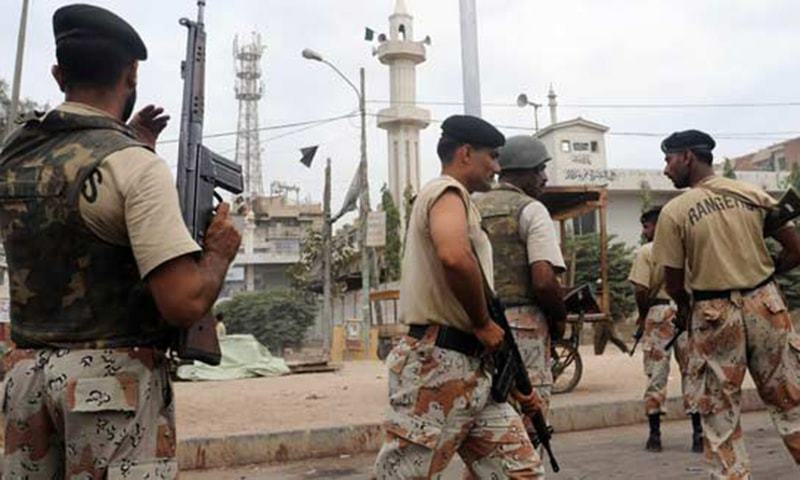 According to their families, Malir police would not give them any information about the detained men’s whereabouts when they went to the police station in the morning. In desperation they turned to the local PPP representatives, who told them that the price for the missing men’s freedom was to give up their land. “What choice did we have except to surrender?” asked one of the villagers. 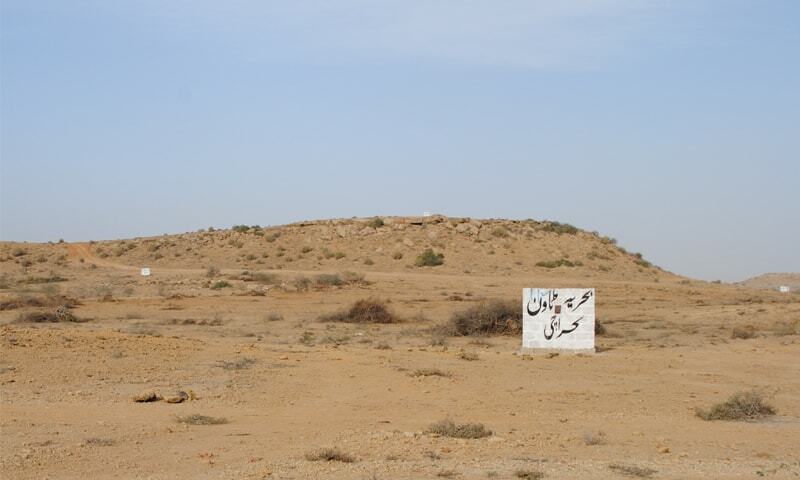 Juma Morio and Ali Mohammed Gabol are among at least 45 goths (villages) that fall within the areas of four dehs of former Gadap Town that are now part of district Malir, and are being affected one way or another by the construction of BTK. These hamlets are home to people who in many cases have lived on these collectively owned spaces since well over a century: their graveyards and shrines are testament to their ancient, customary right to the land. Malir, which measures 2,557 square kilometres or 631,848 acres, is Karachi’s largest district. Much of it comprises agricultural land, nullahs, hills and wildlife sanctuaries, including parts of Kirthar National Park. Agriculture, poultry farming and livestock rearing bring in meager earnings that are shared amongst goth residents. Needless to say, their voices have no currency with the elite, and there are few government facilities provided to them. Many of the goths have not been regularised – that is, they are as yet not sanctioned under the Goth Abad Scheme – a status that can confer distinct advantages. 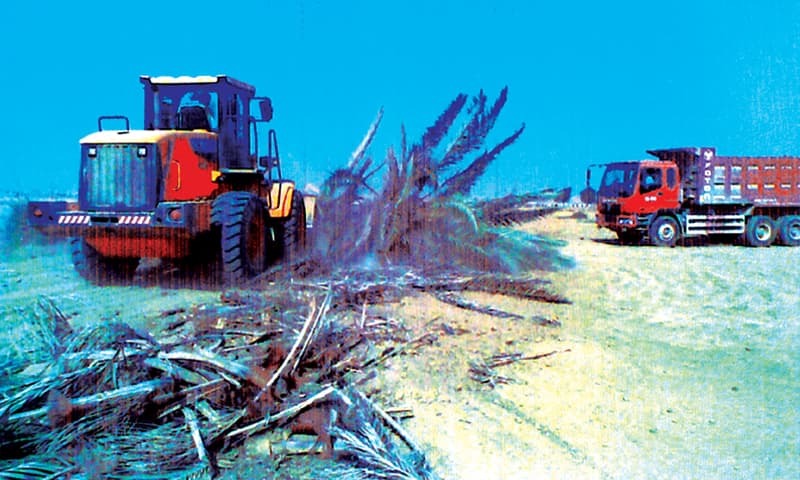 A wheel loader tears down rows of date palms. 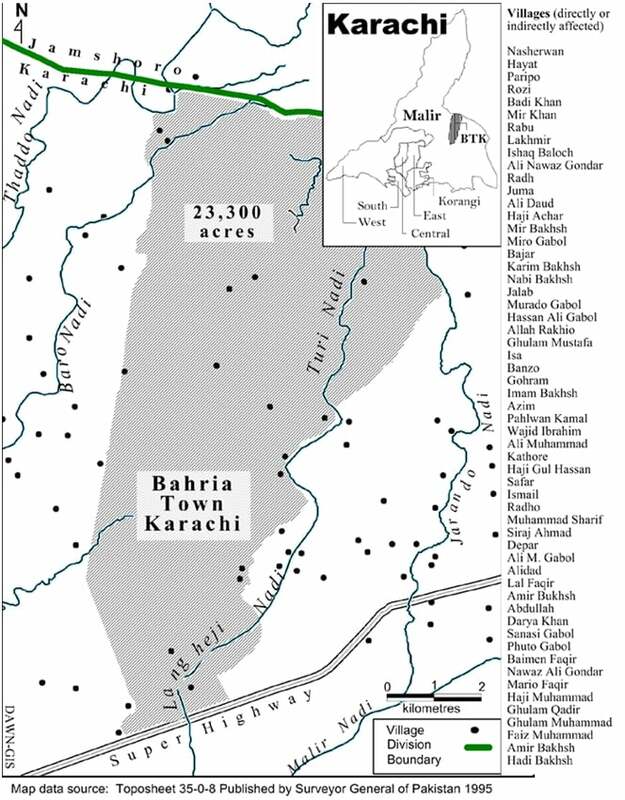 Until Ms Rahman’s death, the OPP team had managed to document 1,131 goths in Karachi, out of which 817 were in Gadap alone, where BTK continues to expand. Of the Gadap villages, 518 have so far been regularised. Since Ms Rahman’s death however, that process has come to a standstill. And that suits the preferred modus operandi of ‘developers’ very well. When unregularised goths come in their way, they have the residents evicted wholesale from the land, at the most with a pittance as ‘compensation’. Never before, however, has there been a residential complex quite like the mammoth BTK being constructed by the company that is owned by the redoubtable Malik Riaz. Physical GPS surveys by Dawn, using Bahria’s on-site markers as a guide – as well as interviews with locals – reveal that at present, BTK sprawls across more than 93 sq kms or 23,300 acres (see map). Map showing villages directly or indirectly affected by development. However, the company has purchased only 7,631 acres in Karachi from private parties – as per statements given to Dawn last year by a senior official from Bahria, Colonel (retired) Khalilur Rehman, as well as a legal aide to Mr Riaz. Even this claim, as this story will demonstrate, is patently false as this area is only held through a special power of attorney. There was no response by Bahria to questions put to it by Dawn about BTK or to the subsequent reminder. Located just off the Super Highway, 9kms beyond Toll Plaza, the complex’s wide thoroughfares, generously proportioned residential schemes, commercial belts, 36-hole international standard golf course and the world’s seventh largest mosque promise a utopian existence away from the urban jungle of Karachi proper. Unethical and inhumane as it is, driving residents out of goths is only one aspect of the story behind BTK’s massive footprint on the outskirts of the city. Police officials provide muscle power for the forcible takeover of land belonging to the villagers. The following is an exposé of how the powers that be, as well as corrupt officials from the Board of Revenue (BoR) Sindh, MDA, the district administration and police have all colluded with Bahria in various ways to make a colossal fortune off government land. BoR Sindh is the original custodian of all land in the province. Besides collecting revenue and maintaining land records, it is the conduit for allotment of land to individuals, societies and various institutions and development agencies, such as the Karachi Development Authority, Defence Housing Authority Karachi, MDA, etc to develop schemes for specific purposes. 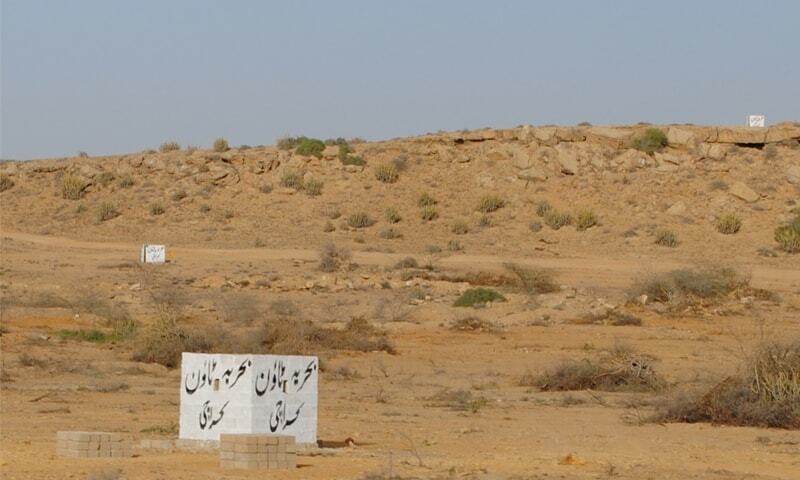 MDA – whose chairman during 2014 and 2015 was Sharjeel Inam Memon by virtue of being minister for local government and rural development – was set up for the purpose of developing land allotted to it by BoR Sindh in district Malir. Legally, MDA – as per the Malir Development Authority Act 1993 under which it functions – cannot hand over to private developers any land that has been entrusted to it for specific purposes. The aforementioned law repeatedly reiterates that MDA’s schemes are meant for the “socio-economic upliftment” of the “people of that area”. On Nov 28, 2012, during the proceedings of the ongoing Karachi unrest case 16/2011, the Supreme Court, with good reason, issued an order banning the Sindh government from issuing any lease, or effecting any allotment, transfer or mutation etc of government land. Subsequently however, the PPP government in Sindh took a number of steps that appear to clearly indicate attempts to hoodwink the court. Firstly, the MDA Act 1993 was amended on Dec 19, 2013, apparently so that MDA could achieve behind the scenes what BoR, Sindh as a provincial government department, could not with the court restrictions on its powers vis-à-vis allotment of land. According to records available with Dawn, then Senior Member BoR (SMBR) Sindh Ahmad Bukhsh Narejo wrote at least three letters warning MDA that it could not deal with private land owners “until and unless [MDA] gets the land allotted/ transferred from the government of Sindh and the same entered in the record of rights”. This was also stated by the current SMBR Rizwan Memon on March 9, 2016 to a three-member SC bench hearing the Karachi unrest case. What Mr Memon neglected to mention was that the reservation of the said area, scattered over nine different dehs, was only for the purpose of developing “incremental housing schemes” (ie low-cost housing schemes with plots not exceeding 120 square yards). This fact was included in a subsequent summary to the Sindh chief minister. As per the Sindh government land grant policy notification number 09-294-03/SO/-1/719 dated Nov 10, 2010, all government land must be allotted at no less than market price, with the exception of land for incremental housing schemes for which concessional rates of at least 25pc of market value are to be applied. During the hearings on the Karachi unrest case, MDA has claimed it paid BoR nearly Rs2 billion as 25pc of the market price as fixed by the latter for incremental housing, in payment for the above reserved land. The Disposal of Plots Rules 2006 framed under the MDA Act 1993 also specify that plots reserved for incremental housing shall be disposed of at a price not less than 25pc of the market price, and only through balloting. Meanwhile, according to Hakim Baloch – PML-N MNA from Malir – sometime back in 2013, three men had set up an office in Jokhio Goth, inside Model Colony, Malir. The land was to be ultimately used by individuals closely connected to Bahria for developing BTK. That set in motion perhaps the most egregious violation of the law committed by MDA officials to specifically favour Bahria, which was their application of the principle of ‘consolidation’. Consolidation is otherwise a legitimate course for BoR to facilitate a tiller by exchanging his scattered pieces of agricultural land with a consolidated piece of land, which, according to the Colonisation of Government Lands Act 1912, should not exceed 16 acres in a nearby area. Moreover, as per Section 17 of the Colonisation Act, “the land so taken in exchange shall … be deemed to be held on the same conditions and subject to the same obligations as the surrendered land was held”. The Dec 19, 2013 amendment to the Act empowers MDA to consolidate land – a power earlier only vested in BoR Sindh – specifically through addition of clause ff in Section 2 of the Act, which defines consolidation of land as “adjustment of plots in a scheme by way of exchange or otherwise for the purpose of the scheme”. Disposal of Plots Rules 2006 framed under the MDA Act further defines “plot” as specifically a “residential plot (not exceeding 600 square yards), residential commercial plot (not exceeding one acre), commercial plot (not exceeding one acre), industrial plot (not exceeding 1,000 square yards), flat-site (not exceeding one acre) in any scheme”. The same rules define “scheme” specifically as a scheme prepared, undertaken or executed under the MDA Act that must be approved and sanctioned by the government. However, instead of consolidating the plots in square yards, MDA has clubbed thousands of acres of privately held lands and consolidated them for an all-for-profit, commercial development. To achieve the above, the demigods of Sindh and MDA have attempted to twist the concept of ‘consolidation of land’ by framing regulations that – instead of furthering the objectives of the original legislation – are, on the contrary, in direct contravention of Section 2, clause ff of the MDA Act 1993 as amended on Dec 19, 2013 and MDA rules 2006. They have done this by giving to the director general MDA the power to consolidate private lands over government lands. To add insult to injury, the agricultural lands have been consolidated for residential or commercial and not agricultural purposes – a violation of the basic intention underlying the principle as mentioned in Section 17 of the Colonisation Act 1912. In fact, the entire modus operandi reeks of mala fide intentions. The MDA Act 1993 even as amended in 2013 allows ‘consolidation’ of its lands for MDA schemes only. 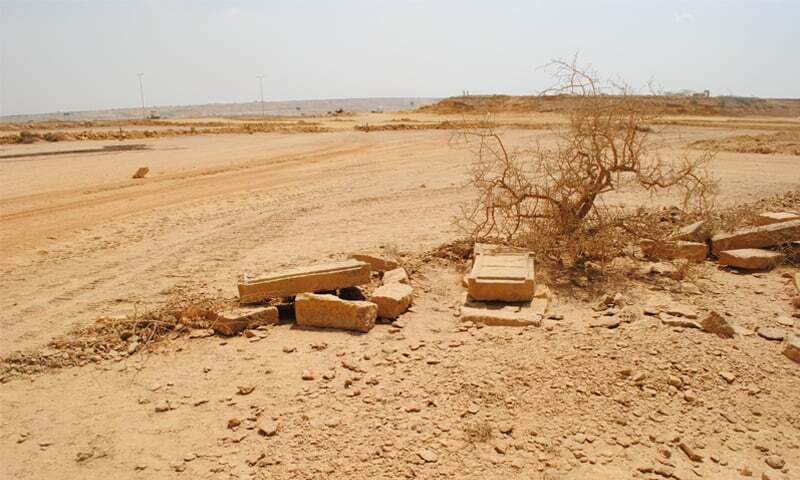 During 2014, MDA followed up this sleight of hand by placing notices in several newspapers announcing requests for consolidation of ostensibly bona fide pieces of private land in far-flung dehs of district Malir. There are also MDA notices announcing “confirmation of ownership title” and thereby approval of such consolidation to the prime area off the Super Highway where BTK is located. Either some or all four of the following names are invariably mentioned in these notices as the owners of the consolidated land: Shahid Mehmood; Mohammed Owais; Waqas Riffat and Waseem Riffat. The notices also mention that Zain Malik “executive director of Bahria Town Pvt Ltd” has “special power of attorney of the owners”. However, several retired and serving government officials even doubt the authenticity of the original title documents used for the above consolidation. “Fake form 7s have been drawn up in the office of [a senior local government official] for the purpose of consolidation and devouring of state lands,” disclosed a Sindh government land official. In many instances, the various pieces of land being consolidated/exchanged are located in some of the northernmost dehs of district Malir, such as in Kund, Moidan and Mehar Jabal where land is worth no more than Rs20,000 per acre. But they have been shifted and consolidated in four dehs off the Super Highway – namely, Kathore, Langheji, Bolari and Konkar – where land values can be up to even 100 times more. According to Dawn investigations, there is no differential being charged from those seeking the consolidation. And that’s not all. The major roads, boulevards, culverts and bridges in the gated BTK are being constructed at the cost of MDA, as confirmed by senior officials from the local government department as well as MDA. From this outrageous trampling of the law and fraudulent land transactions arise the following questions, among many others: how did MDA consolidate land in Malir in 2014 when, as admitted in court by the Senior Member Board of Revenue, Sindh and as per documents available with Dawn, the land in nine dehs was only reserved for it in March 2015 – in other words, how could MDA consolidate private land against government land that did not even belong to the Authority? And why has BoR continued to allow the theft of government land to take place under its very nose, announced through advertisements in several media outlets? Also, where is the title of these huge chunks of land in Bahria Town Ltd’s name that the company is going about selling plots, and constructing villas and farmhouses on it? And how has MDA approved the layout plan for a private commercial township that does not even own the very land it is selling? Bahria did not respond to any of the questions sent by Dawn about BTK or to the reminder sent subsequently. The queries sought information about title to and acreage of the land being sold as Bahria Town Karachi, development of BTK infrastructure being financed by MDA and allegations of inexpensive land from distant dehs being consolidated on prime areas off Super Highway for Bahria. 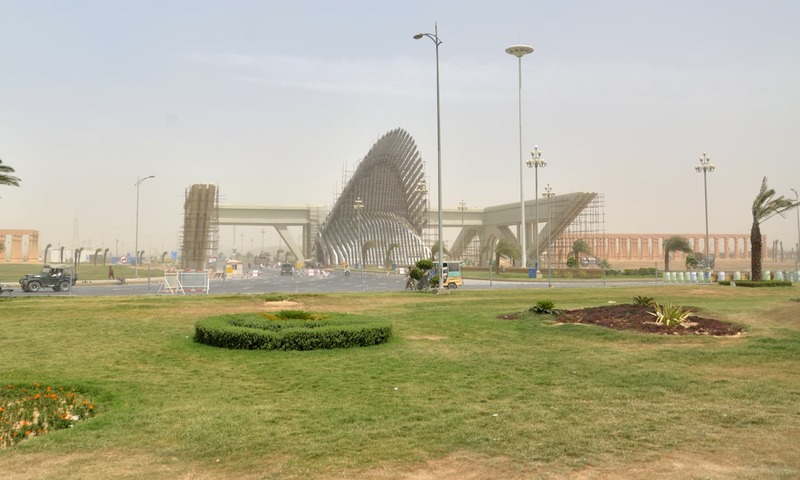 Acquiescent government officials have not only smoothed the way in land acquisition for the project: they have also colluded with Bahria to provide facilities, such as water, to the vast township, so that its road dividers, parks and golf course continue looking lush and verdant. 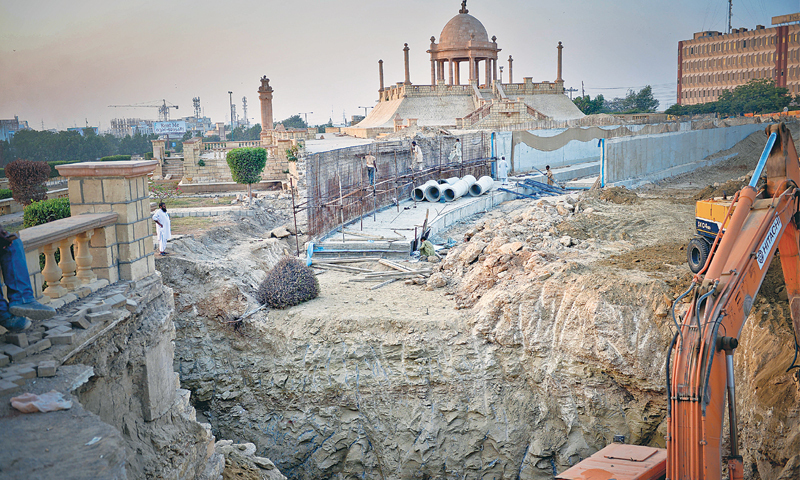 “Four three-inch diameter connections have been already given for the benefit of BTK from the Dumlottee intersection,” revealed a deputy managing director at the Karachi Water and Sewage Board. This is Karachi’s water, and its diversion to BTK will cut into the already inadequate supplies to the 20-million strong city, where residents are either dependent on exorbitantly priced tankers to get water – yet another mafia – or stand at communal taps to obtain and store water for their daily use. 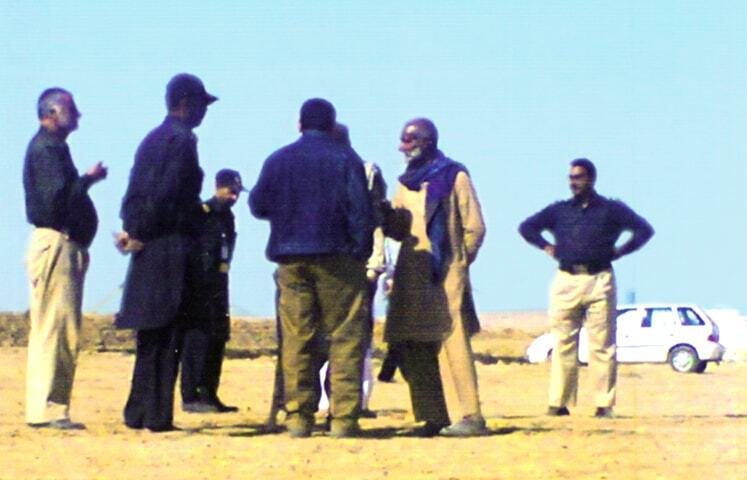 According to Mohammad Saleem, president of the Voice of Indigenous Community Empowerment, a group of citizens affected by the swallowing up of land belonging to indigenous people in and around Karachi, Bahria has sunk deep wells that are fast depleting the underground water, the only source of water in the area, for villages situated even miles away. Twelve years ago, in Suit No. 567/2004 filed at the SHC by the Sindh Institute of Urology & Transplantation and Others through Qazi Faez Isa (now a Supreme Court judge), the court restrained Nestle Pakistan from setting up a water bottling plant in NaClass No. 106, deh Chuhar, Malir. The judgement, issued on Nov 30, 2004, stated that “once the process of extracting the water in such a huge quantity is allowed to operate, each day, each hour, and each minute water deposits in the aquifer would diminish rapidly and shall adversely affect the rights of plaintiffs to use the underground water according to their genuine needs which shall amount to an irreparable loss to them”. If allowed to be set up, the Nestle plant would have been situated only three kms from BTK as the crow flies. It is already too late for Faiz Mohammed Gabol at Noor Mohammed goth. “These people are the progeny of the pharaohs,” he said, his wizened face creased with fury and despair. 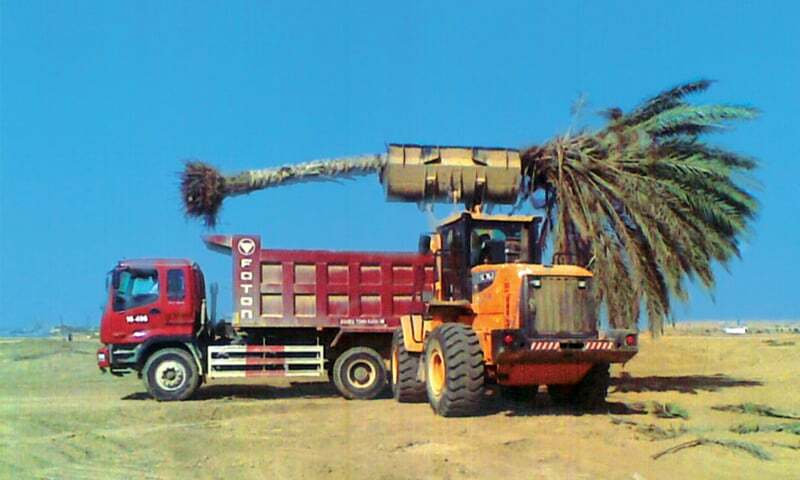 One of many fully grown date palms is hauled away from Noor Mohammed goth’s agricultural land. On Faiz Mohammed’s 56 acres of land, tilled by his father and grandfather before him, there were once hundreds of fruit trees and date palms. On 13 March 2014, he looked on helplessly as bulldozers leveled the orchards, carted away his tall date palms and destroyed his tube well. Also in attendance were MDA officials and retired military personnel in the employ of Bahria Town Ltd. Now, he has been left with little but to gaze with bitterness at the apartment blocks coming up where his orchards used to be. The 23,000-plus acres so far ‘acquired’ by BTK are also home to scores of historical sites, including tombs similar to the Chawkandi necropolis near Thatta, as well as Buddhist stupas, rock carvings etc. Every tomb in the path of construction has been ruthlessly scooped up by bulldozers and cast aside like trash. Their centuries-old symbolic markers and motifs have not stayed the juggernaut of ‘development’ and bottomless greed. According to historian Gul Hasan Kalmati, Shah Abdul Latif Bhittai – the revered Sufi mystic widely regarded as the greatest poet of the Sindhi language – had stayed in this area. “His takia (shrine), which was located here, was also a resting place for jogis on their way to Hinglaj Mata [the Hindu temple in Makran],” he recalled. Today, on the spot where the Shah’s takia was located, say locals, stand the toilets of BTK’s Grand Mosque. In this real-life game of Monopoly, the topography of the area is also being reshaped. This is an undulating landscape with many perennial streams and nullahs that fall into the Malir river. Many of the hills are being ground down in keeping with BTK’s commercialisation requirements. Future plans reportedly include altering the course of at least some of the streams and nullahs, which could pose catastrophic risks to the environment besides adversely impacting the area’s wildlife. Mohammad Sharif Burfat, security supervisor for Bahria phase 4, who lives in a nearby village just across the Karachi-Jamshoro border, told Dawn that development in his phase may still be several months away. On March 9, 2016 a NAB representative informed the SC bench hearing the Karachi unrest case that at least 104,000 plots have already been sold by Bahria. Most of the investors in BTK belong to the middle and lower middle-classes of Sindh, especially Karachi. For those in the know, the reality is that the red-hot speculation in BTK is being deliberately driven by a strategy similar to that which major players in the stock market employ when they manipulate share prices. Raheel, a real estate agent, explained how the prices of BTK plots are manipulated. “Small investors are periodically offered ever higher prices, knowing full well that those who have put in their limited savings would hope to make a considerable profit in the long term and will not want to sell,” he said. “The price of a plot in BT Rawalpindi which a friend of mine bought for Rs5m is currently down by half, but there are no takers,” comments Brigadier Iftikhar, an old hand at the game. Notwithstanding the sordid reality behind Bahria, it seems that those who can, and should, take urgent action against such scandalous land grabs are choosing to look the other way. Several residents of the area, however, say that is not surprising. “When Malik Riaz can boast with impunity about the bribes he has paid to some of the most powerful in the country, what hope of redressal is there for the dispossessed and the toiling masses of this land?” asked one of them dejectedly. Fahim Zaman Khan is a former Administrator of Karachi City, currently working with the Dawn Media Group. He also heads Dawn's post-2005 earthquake relief efforts in Chitral. State within State, we are NOT against development, progress or whatever you name, but you cann0t, cannot take someone's land by force, never. Our country need developer like Bahria town, other wise those ugly irregular goth or village stay forever. But same time we need independent and sincere authorities keep check on them . Of course there will be irregulraties in this kind of huge development and it happened every where in the world. Pleas developed and made Pakistan beautiful but with minimum collateral damage . if stories are true then where was media at that time !! Wow. Investigative journalism at its best. Too long an article to read. Whereas sympathize with the rightful owners of the lands, however, perhaps majority of them were land grabbers themselves. Knowing Mr. Malik's modus operandi; he must have offered a fair compensation, however, when not accepted he did it his way. As crude as it souonds, but any progress in any large metropolitan city experience this dilemma. More business opportunities and jobs may help compensate their losses. Wish .....that Justice Prevail as one for all in our society. I like Bahria Town's initiative as they are in the development business. But land purchasing/procurement should be done legally. If humans don't use their wealth and dignity wisely they have no right to go around blaming others of outwitting them. The FIRST ever very detailed report from Dawn into the ill games of BTK, and I too have a plot in BTK with my savings but after reading this feels bad that I am taking away shelter of poor to own my own...BTK needs to give reply on this report to their stake holders. Thanks for reminding us about Ardershir Cowasjee. The man lived and breathed Karachi. Will never forget his opinion-blogs here at Dawn. A very well written piece that exposes the blatant disregard of basic human rights. As usual this snazzy monstrosity is being built on the backs of the poor. Really hope the people responsible are somehow haunted and live miserable lives. Awesome journalism. I refrain from buying property in any of bahria projects even though it sounds like the perfect investment to make. Its not difficult to see the underbelly of such projects. I am sure if we all took a stand and let our morals dictate our actions such businessmen and their greed can be curbed. Excellent piece of investigative journalism. Brilliant! One man cannot do all this. Politicians and armed forces must be involved in this game of land. I would expect malik to get them atleast a better housing and living conditions nearby as nobody can do anything to these powerful people. No doubt money greased many palms to get this project off the ground! Lawless society, illegal land-grabs, and violation of law by the admittedly corrupt land-developer leaves no doubt how this came about. No surprise therefore, that no law-enforcement authorities are willing to take action. This is what Pakistani society is coming to - greed, lack of ethics and moral and no respect for the rule of law and abuse of power to oppress the poor and powerless! Disgraceful! I wouldn't live in this town even if a house was given to me for FREE - not if there is even an ounce of suspicion that the land it is built on, rightfully belongs to a poor farmer's family who neither consented to its transfer nor compensated. Can any one take notice on the basis of this report? It is the same all over the sub-continent. Forcible acquisition of land, if it has happened, is wrong. But if schemes like bahia town don't come up where will the rising middle class go to live? It's wrong to say bahria benefits elites only. Elites go live in dubai or UK. For professionals making a career in Pakistan bahria type schemes are the only decent places to live. Investigative journalism, such as this piece, is an effective check against tyranny! The owner of Bahria town is very well connected to all political parties, establishment and beaurocracy. No justice will be served to poor villagers. Indeed this is the first time I have seen anything against him in the media; so either he is really honest or really well-connected. Reminds me of Boston Globe news story " Spotlight". Good work Dawn! Bahria has employed same tactics in Bahria Enclave to rob people of their lands and money who buy plots to fulfill their dream of building homes. Unfortunately, nothing is working to seek justice against this tycoon. If government is facilitator in this loot and bureaucracy and police share the bounty, the expected result is death of justice. A very thought provoking article. Yet it is also distressing and extremely painful to see how, in the name of development and progress, a real estate mafia, in cahoots with the state establishment, has robbed poor people of their land. While displacing the marginalized, megaprojects like Bahria Town thrives on diverting all the natural resources such as water as well as public utilities such as security, electricity, gas, roads, money, away from the masses to a select few who are able to afford the boring and dull lifestyle of the housing schemes. The article rightly points out that it is greed at its best, and the desire for excessive wealth, has turned the public land into a private property. Now this is called neoliberal feudalism: vast tract of land combined with the fantasies of the modern lifestyle. Wow.. 3 Things - GREAT reporting by DAWN.. this is true journalism at it's best. Second, where is the law in all of this? Third - is this what the Sindhi people wanted when they chose Pakistan? Excellent Article! Now we need some action to follow from the concerned quarters! I'm sorry, but there is price for development. I don't know how they are suppose to build the country w/o touching anything? Brilliant work by Dawn. This is great journalism. Malik Riaz has also bee acquiring land outside Islamabad and using the same modus operandi. But he remains untouched, you watch his motorcade and it seems a minister is travelling. But its not Maliq Riaz who is the prime suspect of this injustice. This (dis)honor belongs to Government of Sindh. Every society has people like Maliq Riaz but it the government that protects its people from such tycoons. Great piece of writing, I really appreciate the journalist research. Sindh is always land attract different intruders to occupy the land of local community in different way some and always state provided them to support. development does not mean the land of the poor community grab with the help of the government authority to enhance the property of the poor community. Judiciary must take the action against Bharia town owner and stop the illegal construction in the name of Bharia town. Such schemes will increase the corruption in the society and make individual more resourceful. Eye opener.Thats why we are in doldrum. This is a complete outrage. Why are we allowing a private firm to destroy our heritage and environment? People are in the strreta protesting in Brazil after Panama-leaks. Have we lost our will as a nation? Where is the spirit our forefathers showed us in the Pakistan Movement? This is not a country for poor. Power and money is used only to make more money. Pakistan's best newspaper once again shows its worth. Big expose by Dawn on Bharia Town Karachi.At least someone dared to unveil the reality of land grabbers. Such injustice must stop. Nawaz sharif where are you. Malik Riaz said himself he was once poor and helpless. It is time now he must look up-to these helpless fellow Pakistanis. We all know nothing would happen otherwise. Its his conscious only that can change the tide in favor of mistreated. God help poor and powerless. I salute the journalists who dare to write these kinds of research based writing. I wish we see more of these investigative journalism in Pakistan! I am glad somebody stood up to these land Mafias and brought the problems of the egular people into the light. What a shame that all important institutions are SILENT on this issue. @Atif Khan I think you haven't read the story properly its about touching the piece of land without having any right over it. They should have purchased it from their rightful owners. According to the report Behria Town Project sprawls across 23,300 acres although Bahria Town itself claims it has 7,631 acres . You can see the glaring difference. A real investigative thought provoking bold journalism. Its a well researched beautiful article ! @Ashar so you support development at any cost? In this case by hook or crook? Commendable job by Dawn. But where is our justice system? Are all citizen here equal? Thanks Fahim sb, Naziha and Dawn for looking into the matter with such depth and truthfulness. It is a sorry state of affairs. These kind of activities of the State is the breeding ground for extremism. People lose confindence in state will turn to anti-govt. activities. What is the meaning / relevance of the nation when it cannot protect the rights of the weaker sections. Nice investigative article. But would anyone take similar initiative and do research on anotjer project located next to BTk, i.e. DHA ? Development fulfilling legal and social requirements should go on. poor people should be given alternative places to live or due money to complete the bigger development plan of Bahria town. Greed has no bounds! Same goes for DHA karachi -- if you observe the price speculation in the past 5-6 years where prices for open plots have gone up atleast 5 times, how on earth can someone (without family inheritance) buy a house from their present earning. This madness needs to stop, government has to come in and regulate the prices. It is just plain stupid where a 500yds house cost apprx $1million and then there is no water or electricity. I am sure for this money one can buy a pretty decent place in the USA. They sold their barren Land at very attractive price . Now they saw development , they want more money . this place is miles away from Karachi don't know who will prefer to live there. Law is there to protect the rich and bully the poor. Why the armed forces allow their name being used in fraudulent activities? Where are we heading to ? Will Pakistan be a place to live? People call Malik Riaz the most charitable person around! This is such an impressive piece of investigative journalism! It is bigger than Axact scam, only if government pays attention. @Atif Khan by following the rules and law of the land and by looking after and caring for its weak and poor. How can you call it development if it feasts on the life and soul of the poor and weak of the society? Unfortunately everything and everyone is up for sale nowadays. The disintegration social morality and greed rules supreme. The Malik Riaz - Zardari partnership is an openly boasted secret so these people are unstoppable for now. Anyone who stands up to them is either crushed or simply bought! I am more upset after reading the comments of the people who justified this brutal treatment to the poor communities.. How would they feel if one day someone snatches their properties and render them homeless.. Development of infrastructure for Rich people at the cost of pushing poor further in poverty? I hope politicians like Imran Khan will raise their voice in favour of those being displaced after this bold and glorious story. @saeeds Are you serious?? How would you like to have your livelihood and house where your family has lived for generations. be called ugly..and.be bulldozed for sake of what you call beauty and progress.. These poor people have been treated like rats by this same mentality. @Atif Khan Will you be ok to pay this price with your own home bulldozed? I now live in UK, I recently visited Karachi and had a look at development in Bharia Town, the people should be thankful that a barren, worthless land with no value is being converted into a beautiful new town, the value of all surrounding land which no one was ready to get for free is now valued in millions. After seeing some of the projects of Bharia, I am sure if Mr Riaz is made the fdevelopment minister he can change the country in a short time, he has vision and expertise to complete projects in record time with minimum costs. Clifton development are marvellous. Chaudhary Nisar, where is your efficiency!?? Did you exhaust all your governmental machinery against the crackdown on Axact!?? I have no issues with development but it is a crime to grab properties from less privileged citizens. Development of society should also be considered! Rangers raided KDA ,building control ,Sui gas Karachi university and many other organization...but why no such raid in Bharia Town knowing well the irregularities..and more karachi water diverted to BTK leading to shortage and water crises .. Seriously?! 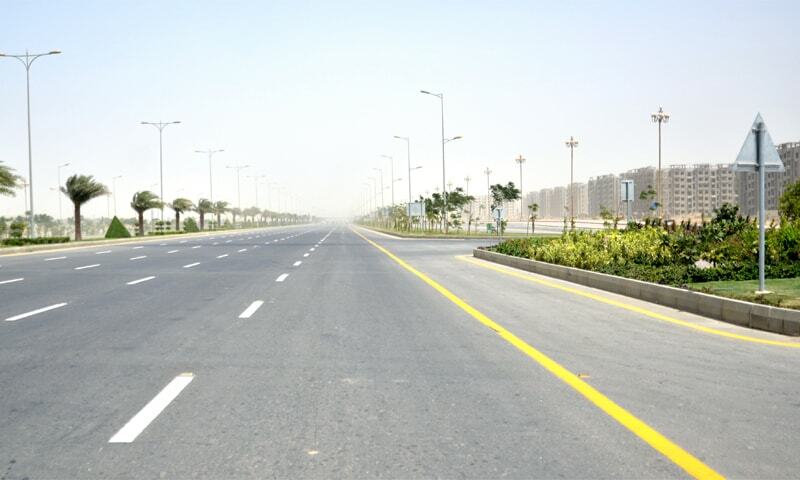 For us overseas Pakistanis Bahria Town is the only reliable investment option in Pakistan. They are the only company in Pakistan actually delivering to the people in affordable rates. Thanks for bringing the facts to the fore, its late but perhaps not too late if authorities move to mitigate if not prevent loss to the poor. This is an excellent, and brave, piece of investigative journalism. This may not stop the land grabber but you certainly have done your part. Kudos. Bahria leaks, i believe many of us are still with the projects of Bahria towns but we must ask ourselves that by destroying the fabric of local environment, disturbing the land usage and snatching the rights of local residents is not development. Infact grabing a land worth a few thousand rupees in the name of development cannot be justified when all the profit is going in ones pocket and local residents are rendered homeless. this is the new face of land grabbers in the name of development. Soon such development companies will have their own news channels, how will we handle them? the poor local residents have no voic. I appreciate dawn news to take a courageous step . @saeeds Vow, that is most inhumane response I have ever read. This is exactly how the corrupt rulers and corrupt elements of society perpetuate their injustice; colluding with each other and grabbing anything and everything from poor while keeping the slogan alive: roti, kapra aur makan. This is humanity at its worst indeed. Another bleak picture, dismal situation, marginalization of the poor, deprivation of the fundamental rights, in holy motherland where politicians of area make profound but empty slogan of "Roti, Kapra aur Maqan". I'm unable to comprehend that all the charity work carried out by Bahria Town is legitimate from looted wealth after reading out such kind of shocking news. I would like to DAWN for highlighting issue. Pakistan govt must hold a survey to establish ownership of Gotha lands. The Poor must be protected and if absolutely necessary their lands acquired with fair compensation. In India Villagers have got crores for such land. I mean crores. Master piece reminded us of Ardershir Cowasjee. After this investigative journalism, we expect heads rolling. Let's see how the ruling elite who have ganged up in UK, could come out of the quagmire. It's time for the people to come out and support the media, the judiciary and the Armed forces to break the vicious knot of the ruling elite. A natural course of actions around the world for the corrupt and incompetent regimes. People's support can cause an avalanche effect against the corrupt regimes. Time to step up all the energies and resources to break this vicious gang, who have been robbing steadily the poor masses for too long. @Common Sense U dont understand the Goth land is communal and ownership is diffused. This loophole is exploited by the land sharks. well Done DAWN . The whole system has become corrupt . write another article on bahria town, pindi, the issue of the homes that got cracked and no body is ready to register or report the claim..
Gen Raheel, where are you? You are the only hope left! Where can we go? Police, politicians, rich and powerful are all one group. Looting and killing us. What is this? Where is the love of nation? Where is the respect of Pakistan? Corrupt Government is damaging our country. Please some one take action. 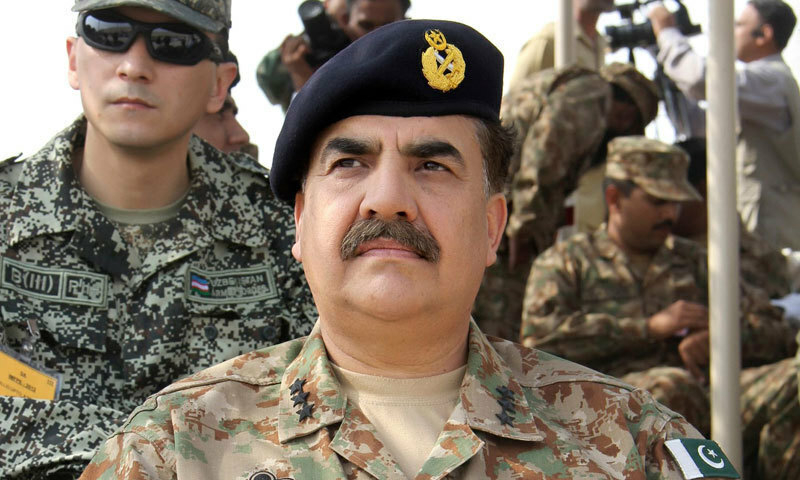 Gen Raheel, you have the power. We have nothing. I am thankful to DAWN bringing such story of oppression/land grabbing which reminds us era of colonization. Even in era of colonization , such injustice was not prevailing . I urge chief Justice of supreme court to take suo motto notice of one of the biggest land grabbing in history of Pakistan . The poor people must get justice . The justice can not be expected from politicians including ruling elite . Every eye is on supreme court. Alas, there is no leader bold and courageous enough to agitate dharna against these devils. the people involved in this theft should go to jail, the PM and CM of sindh needs to take notice of this. Dawn, this is you at your best. Can we have more of this please. @Zak he is enroute to Panama, please don't disturb him. It's very important national business. What is this society going? When corruption is celebrated. Lawlessness is envied. Injustice is ignored. Ill-gotten wealth is craved. Unethical and immoral behavior is accepted as normal. That's when the society is doomed. Even Rome fell due to hubris! Wow so sad, i didn't know. @akram How CM and PM can take actions ? How a corrupt person can take action against corrupt? I urge all citizens of Pakistan not to invest in Bahria Town. All Pakistani citizens should boycott future investment in Karachi Bahria Town .Bahria Town is being developed at the cost of poor people. As first step , I have decided not to purchase any plot in Bahria Town . I again urge all Pakistani citizens to follow me. The boycott should remain untill justice is delivered to poor people. 'Behind every great fortune, there is a crime' - Balzac saying. WELL DONE DAWN BE BRAVE & HONEST. What a commendable piece of Journalism. Dawn deserves all appreciations to surface the crime of land mafia. Mr. Malik Riaz is the richest of riches. Why he can not pay a good compensation to the victims for their belongings, land and business and habituate them at a good alternate place. This way at least some justice would be done to these poor people otherwise in Pakistan there is no justice possible when Police, Politicians, and Rich join hands. Well Done DAWN . I can not express my admiration for DAWN. We salute to you for your great courage and bravery . All other media including channels should follow DAWN. I urge all news channel to highlight this issue as "Breaking News". I also urge all news channels to discuss this issue of land grabbing / deprivation of land from poor as "Exclusive " in their programs . Bahria town and sister concern Citi Housing, both have introduced some good trends but deep inside their business plan is the same. false promises, deception, coercion, dirty tactics, land grabbing and buy out media so no voice of decent. A typical Pakistan of rich and influential! This is totally obscene. Shame on corrupt leadership and greedy real estate tycoons for their insatiable greed. Thanks Fahim and Naziha for your mind-boggling expose. Please keep up the good work. The nation is setting new standards in corruption and high hotheadedness where rule of law does not exist. No wonder there is no respect of the Green passport in the world!!! Very well investigated and good example of proper high standard of investigative journalism!!! Weldone dawn!! No wonder that Zardari & Sharjeel Memon & other Pakistan Party members are living the high life in London. It is a well known urban development problem which needs equitable solution. Compensation in form of plots both residential and commercial, to house and provide source of income for the existing inhabitants, is one solution. It would have been interesting to know of any other solution proposed by the two parties. If we are buying property in bahria towns we are also part of this injustice...so before blaming the administrators we should see what we are doing. @akram wrote: "...PM and CM of sindh needs to take notice of this"--are you kidding? PM and CM are part of the problem. I urge honorable chief justice of supreme court to take suo motto action on this issue. This is only way that justice can be dispensed to poor. We can not trust Provincial / Federal Government . They are all colluded with Bahria Town. Pl take notice(Supreme court) otherwise justice will not be furnished. It is one of the biggest scandal of Pakistan. Well done FZ&NSA,you leading poor villagers,excellent job,its not a Development but its Distraction of poor peoples lands,huts,graveyards,wildlife, Archaeological and beautiful mount ants. I am neither supporting Bahria Town officials and nor covering up the malpractices of real estates but these so-called innocent villagers have already occupied large chunks of land right from Al-Asif square to all the way to Toll-Plaza. The irony is, whoever has an iron hand ,would certainly rule the land. well done FZ & NSA Excellent,you leading poor villagers. A very brave piece. Bravo to all those who worked to inform the public about these outrageous practices. It is a shame police is used to do the dirty deeds of the dirty elite ! Most of the innocent villagers are funded by land grabbers. 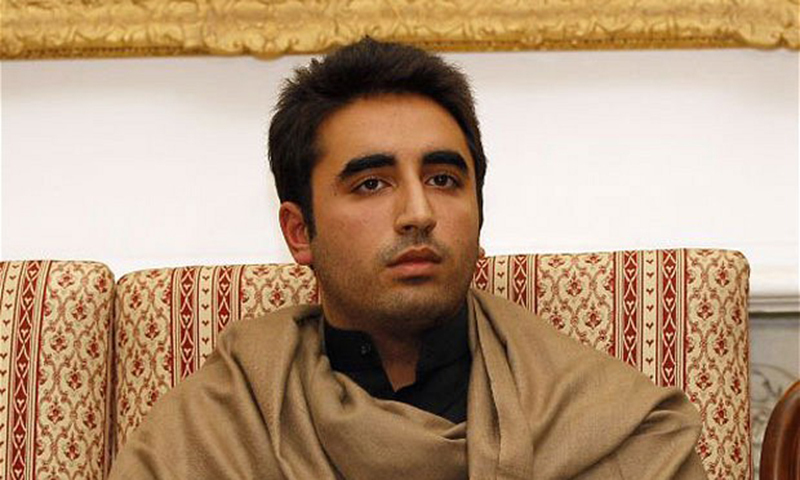 They have recently moved from interior Sind during PPP rules since 2008 and was given full liberty by Zulfiqar Mirza. By comparing google images of pre and post 2008 one can easily judge the truth. Behria Town is a result of incompetent Civil and Military governments in Pakistan. Public needs security, organised developments, electricity, facilities and a better living environment for themselves and their children. General public are struggling to get any basic facilities even in capital city of Islamabad. Developments like Behria Town and DHA are caching on the helplessness of public and providing all the facilities many many miles away from cities by acquiring cheap land and sometimes land grabbing and manipulating legalities. How much is for a 3 bedroom house at this project? When will this greed end? It looks like Pakistan is being eaten from all sides by the greedy and the corrupt. Eventually all of this has to stop because resources are not unlimited. Thanks for shedding light on this Dawn. Totally insane land grabbing off the limits, who will push brake on him! Great work guys, good journalism like this takes hardwork and courage. Respect. May the people behind this scheme be guided to refrain from carrying out injustices. Dear Malik Riaz ia also well connected with Imran Khan as he is with all other politicians. Have not you read news that Imran Khan uses Malik Riaz's private plane to travel? Yes it is ironically true. After publishing these reports, i think so that one should be very careful investing in Karachi Bahria Town. One can not deny these reports because it is investigated/written in very professionalism. It seems that it is starting point of another big scandal in Pakistan. I once again advice all Pakistani citizens including overseas not to invest in Bahria Town. The matter should be investigated at the highest level to dispense the justice to poor people. Salute to DAWN once again. The farms in Malir are not located in this area. They are far away and on the other side of the super highway. This area is barren land. Everyone knows that. It is worth noting that they're not destroying trees but hauling them away to be planted elsewhere. Thats a first in Pakistan. THIS is journalism! At its best! Congrats Dawn for having professional and moral integrity to reveal this daylight robbery which many in the media, hostage to power of advertisement would not dare to. Bahria Town is developed by Riaz Malik. He is the most corrupt person in Pakistan but we only hear about Nawaz Sharif and Asif Ali Zardari. People should be adequately compensated based on what they demand for their land. Where are all the political parties, how come no one is coming to the aid of the poor i.e. PTI, MQM etc??? Nobody can touch Malik Riaz.this is a fact. Hats off to Dawn for Exposing Malik Riaz! This can be investigated pretty easily but Mr MR is very sharp guy and knows which deal where and when!! Is Media deaf and dumb for so many year's.? Very regards to people who worked to open these facts. Now its a very big question mark for our LEA who are doing operation against land grabbers in Sindh. Now, will they take any action? Bahria did some great projects in Lahore & Islamabad. Karachi has an exponential growth for quality housing! DHA projects lack water, power & are badly managed. BTK fills the much needed gap for a well serviced housing scheme. No housing scheme is perfect & some of the statements are exaggerated by woes of Karachi. Greed...or supply / demand equation.Real estate in NY & LA is no different. Recently an American official/diplomat visited Bahria Town Karachi and very next day Bahria Town officials made huge advertisement of this visit. I urge all foreign dignitaries/diplomats to refrain visiting a highly conversational project. It is a classic example of deprivation of fundamental rights of people where people have been driven out from their land without any compensation. Very comprehensive, objective investigation. Could be used as an FIR against those responsible.After a long pause finally there is a case for Suo Moto action for our judiciary. Well done Fahim Zaman and Naziha Syed Ali. Amazing story. Dawn team and editor R.E.S.P.E.C.T. This is investigative journalism at its best. Hats off to the writers and to Dawn for bringing it to light. The issue deserves immediate attention of press, civil rights'activists and political parties who claim to be champions of 'justice' and rule of law in society. An excellent article well researched. I hope this serves as a basis to galvanize and mobilize people. Who are the architects for the Bahria developments? @saeeds What if your parents graves and house will be demolished? How you feel about it in the name of development? If BHT really care about people, then thye should invest in people but not on building. Brilliant work! Is anybody listening? Where's the Supreme Court of Pakistan? If this doesn't compel a Suo moto, what will??? but how come there is absolutely no word about SCHEME 42 HAWKS BAY, where hundreds of thousands of low to middle income individuals invested and where the scheme has remained dormant for more than 5 years now. With our investments in NEGATIVE EQUITIES just because KDA scammed out on us and denied us our right to affordable housing. I would strongly request dawn.com to kindly also do an investigative article on Scheme 42 Hawksbay too! Kudos to Dawn for putting out this excellent piece of investigative journalism. They have done their part. Now it's time to do ours! Baharia Town scheme in Karachi will attract large population from all over Pakistan, specially rural. It will be a big strain on Karachi water supply and other infrastructure. Karachites, be ready for water famine. Soon Karachi population will be 30 million and Sindhis who are selling their land will soon be minority in Sindh and loose Chief Minister ship. MQM and PPP are incapable to manage a mega city of 30 million, better hand over whole Karachi to Malik Riaz. @ DAWN news, this is a great yet a very shameful discovery, thanks to you, so the corruption, land grabbing and law manipulation continues by Riaz. My question is, what can the people of Pakistan do to get the governments attention? what can the people do to be heard? Thank you DAWN, keep bringing it up, keep it on the front page, everyday, every week until some opposition leader gets a hold of this. Where is PTI and Imran Khan on this? Why not request CJ to take action? Why not request the NAB to take action? Why not another Dharna in front of Bahria Town? I appeal to all Pakistani citizens including overseas to avoid investing in highly controversial project. This article on Bahria Town Karachi is tip of an iceberg. This scandal is likely to explode beyond imagination. I here again appeal to honorable chief Justice of supreme court to take suo motto notice of injustice done to poor people. Shame for federal and provincial governments for not taking action after publishing this article. Very bold article. Thanks. Bahria Town Karachi, greed unlimited and still going strong! Good story, courageous piece of work. All such land developers and builder e.g Bahria, Fazaia, DHA and all others must be ban. State land is public property . It is Government's responsibility to provide/sale hosing units to all her citizens by herself. Similarly all educational commercial chains also be ban (at least bellow college level) People must also resist moves to privatize Government hospitals. Again good story.......but beware ....... Elephants are fighting. Wow! It look like Pakistan is only for rich who make money under the table, poor has no place to survive. Mr. Riaz Malik please develop modern school, Universities, hospitals, houses for low income families. Do not do not develop Taj mahal for riches (mostly black money) on poor's graveyard. If the Govt. is sincere to its people, all plots/ houses owned by people who have already their own ONE OR MORE houses/plots must be confiscated and sold to people, at a reasonable and affordable price, who do not have any plot or house anywhere in Pakistan. Hoarding is against Islamic principals and hoarding of property has created serious situation in Pakistan which may explode at any time and you see people setting on fire big and palatial houses. A high level inquiry commission under direct supervision of chief justice Of supreme court is required to be set up to find the real facts. In the mean time , further development and launching of new schemes by BTK may be immediately stopped.The illegal occupation of land may immediately retrieved and returned to original owners.One should be very careful in investing in BTK as it has become highly controversial project. It is being developed at the cost of land of poor people. hats off to dawn and the journalists who wrote this. bahria town is the biggest land grabber of country.Please also write about Sector-F , bahria town lahore where he is not giving posession to people despite full payment done one year ago. @A.Mohasin fully agreed but who will do this and when? In Paksitan; Rotee, Kapra and Mkan is now a slogan only even for those who raised this. 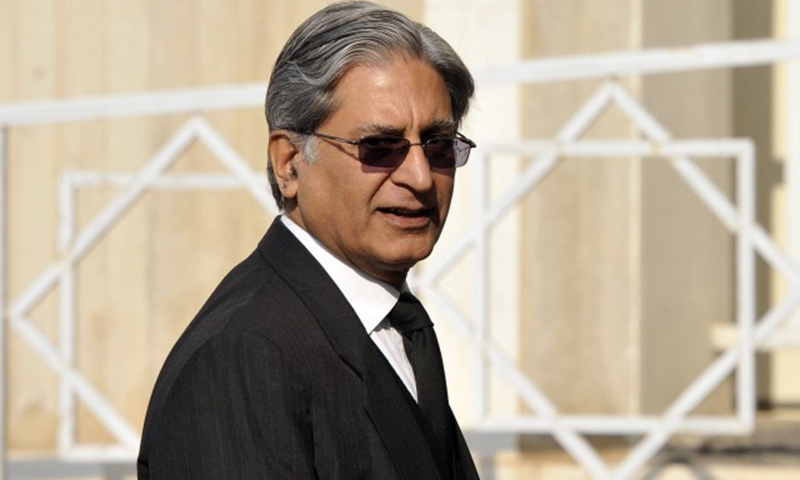 i am surproised that people like Aitizaz Ahsan also in favor of these while he belongs to a leader of poors. 1-Education 2-Health 3-Housing 4-and Food Should be own by government. See its now difficult to get these basis life needs not only to poor but for middle class as well. That is why, we have lost everything to the society's Immorality, Unethical Approach, Misconduct and malpractices. But still this reminds me of a famous saying that "The world is not getting bad because of the conduct of bad people - BUT DUE TO THE SILENCE OF GOOD PEOPLE". Very informative , good Written but......No result. Is this new? 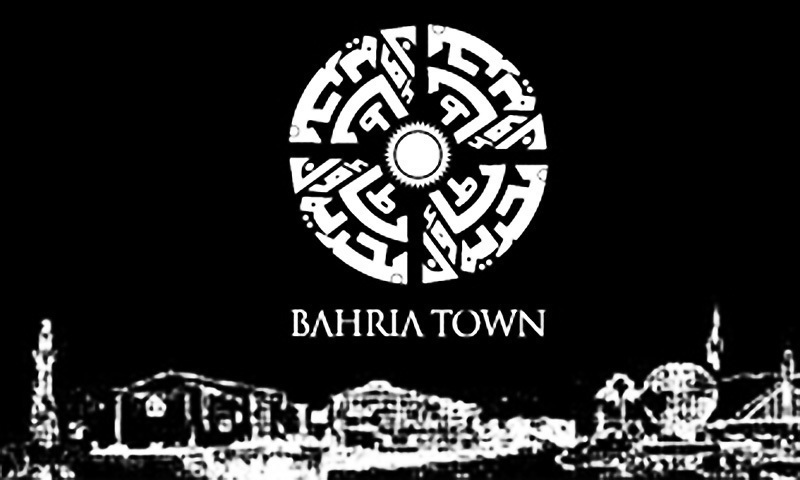 How do you think the first Bahria Town in Rawalpindi/Islamabad was built? The same story and tactics. No one raised even an eye brow then, no one will raise a finger now. All in collusion with the power and mighty from civil to the military. And all of this to serve the greed.. no real development. Development is when you set up industries and economic zones - housing is just a temporary employment opportunity does not even yield any benefits except for help speculate and raise prices further. Great job by Dawn. Seriously good (and rare by Pakistani standards) journalism! The best investigative report read after a long ...Very detailed, in-depth study and reporting. Kudos to reporters and also the courage and impartiality of the newspaper in the era when journalism has lost its meanings!!! Indeed very comprehensive analysis of massive misconducts of land Gaint and its Partner i.e. Sindh Govt. Thank you Dawn for yet another excellent investigative article. Remarkable journalism. This is true patriotism. Will Law Enforcement and Administration continue to ignore this wickedness right under their noses? Will citizens like us remain unconcerned or simply passively reproachful? If so, we deserve all the calamities waiting to fall on us. @Pepsi too little, too late! This is probably the greatest piece of investigative journalism from Pakistan I have ever read. To the writer of this article. I think you have missed a big factual manipulation done by Bahria along with authorized dealers. Bahria has oversold plots then the land they had. They have still not balloted thousands of plots most of them owned by poor people. Finally they are selling plots in good areas themselves by buying unballoted files and allotting numbers via dealers. Which means that investors who purchased files from beginning will only get plots in unfavourable areas. Currently unbaloted 125 yards is selling at a loss. Finally unfair and under table balloting of good plots to benefit themselves. This is a fact no one can deny and a clear violation fair balloting. Why does Pakistan not have a law of eminent domain where each displaced resident is given an appropriate amount of money for being displaced? @Atif Khan Development means to include everyone and go by the book, here you are exploiting the situation just because these people are poor..how would you feel if they did the same thing to your house by doing the same thing in the name of "Development"
Karachi is already exposed to water stress and there is increased pressure on groundwater resources, which are currently being extracted in most areas beyond the aquifers' recharge potential. Displacing people who use meager amounts of water with golf courses at BT or anywhere else will not help. Roti, Kapra aur Makaan..... all for the rich only ! All those goths are settled on government property and don't hold the right to it. It is government responsibility to find a suitable location for them. I feel sorry for them but lot of them are hogging land owned by people like us for decades now and there is no justice for us either. Again, I feel sorry for them but it is government's failure (which it is known for) and not of tax paying citizens. These is the type of journalism which makes people trust DAWN. Bravo DAWN. BTK is striving hard to convert old sindhis into aborigines of Australia/Newziland or Red Indians of America! 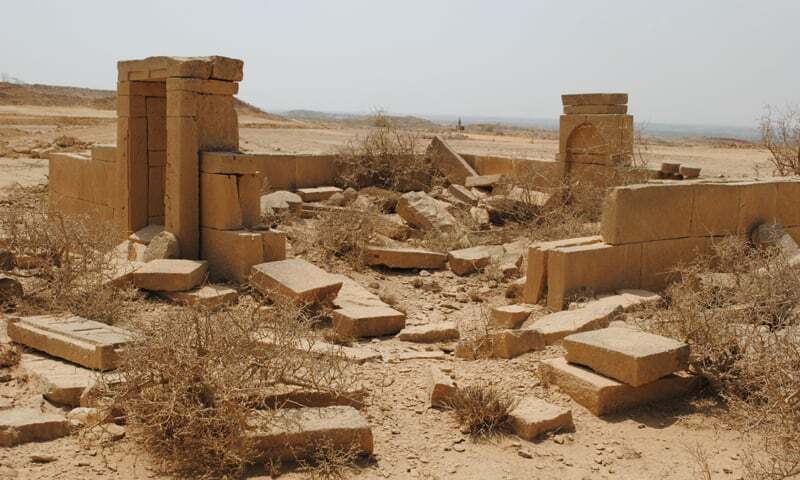 They shouldnt destroy and ancient structures pollute the environment and atleast compensate the people for their land. I thought they would be better then this.. on one hand the development looks great though. Mslik Raiz is stealing land from people and from Sindh and all political parties are hsnd in hand to assist Bahria Town in this heinous crime . Bahria Town is making housing schemes on illegally encroached land that originally belong to the province . Bravo Down we were waiting for some one to expose this crony of Zerdari and others greed Unlimited for looting Pakistan. It is right time now for another such article to expose all those polititions civil military bureaucrats maliaigned and bribed by Beheria Town for Malik Riaz. It sounds like a tale of horror. But on ground we see a world class facility. If previous land owners were compensated fairly, Bahria Town is a mark of pride. very informative and investigative report. It's a culture here in Pakistan,big fish eat small fish.Dr Zulfiqar Mirza statement may be seen,about Malik Riaz partnership with Asif Ali Zardari. Is it any wonder that these dispossessed people will eventually turn to terrorism to seek justice. And the new rich inhabitants of these developed lands will become prisoners in their own homes eventually. This land grabbing is like creating a new breed of terrorists, who will speak thru the barrels of their guns. Because the dispossessed have nothing to lose. Sad but true. Blatant disregard of the law.....I will never invest in this place until it is cleared that these charges are not true... I cannot think about building my house on the ashes of someone else.